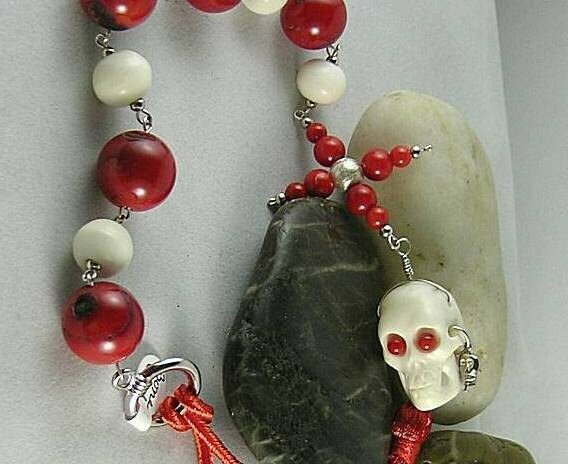 This paternoster is called a Pirate's Paternoster only because the large white bone skull has a small pewter skull earring. 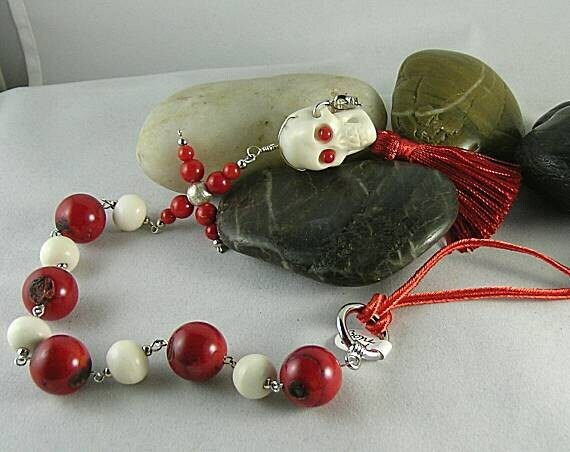 The 10 alternating beads are 12mm bone and 16mm red bamboo coral making this a Tenner. 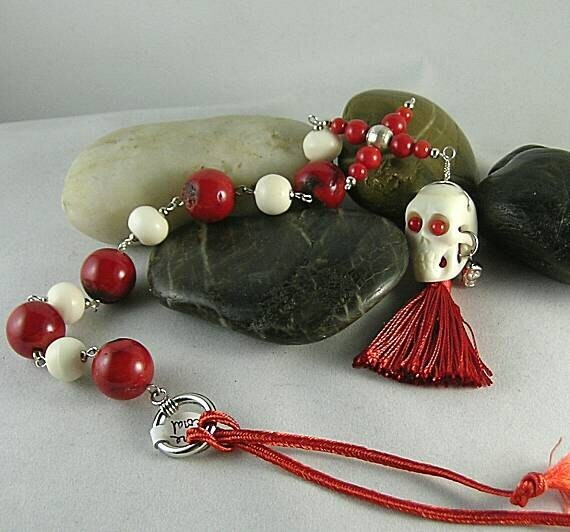 There is a handmade coral credo cross (42x42mm) between the beads and the skull (20X27mm) which has 4mm coral eyes and a red tassel. It measures approx. 14" including the tassel and ring. 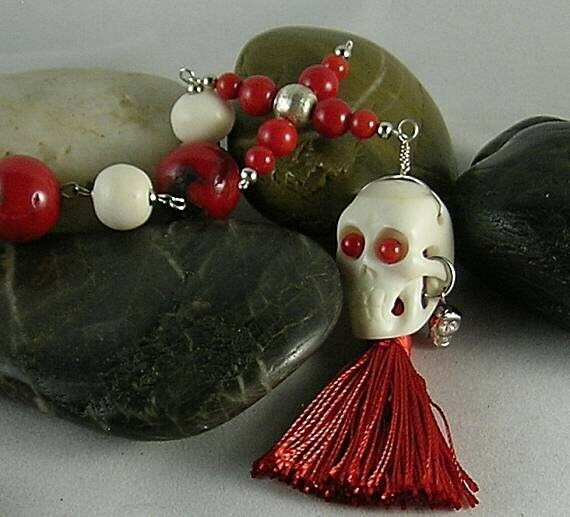 Skulls were often used in rosaries to "Remember Death" during the Renaissance. The alternating large and small bead arrangement was inspired by an original in a museum in Huy, Belgium which dates to c. 1250-1300 AD. Both are perfect examples where the "Our Father" and "Hail Mary" were recited in an alternating sequence. Also available in black onyx and white bone with a black tassel.